Software Development Skills do not just happen. So, you need to take the bull by the horns and do it yourself. You need to make a plan because these skills rarely develop during your workdays. You also need to dedicate time to develop these skills. While in other craftsmanship, skills of good crafts are well-known. In software development, there is no consensus on this topic. 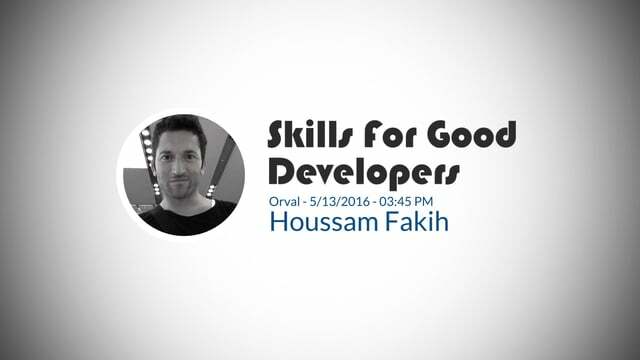 In this talk, we are going to discuss the main skills every good developer should have and how to improve them. We will also share with you some tips and tricks but also some exercises we used to improve our software development skills. Hello There. I found your blog using msn. This video about Skills For Good Software Developers is extremely interestign. I’ll be sure to bookmark it and come back to read more of your useful content. Thanks for the post. I’ll definitely return.